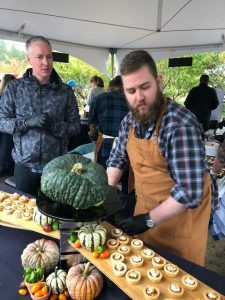 This year’s 24th annual extraordinary feast was held on September 9 at UBC Farm in Vancouver. 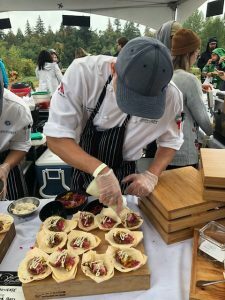 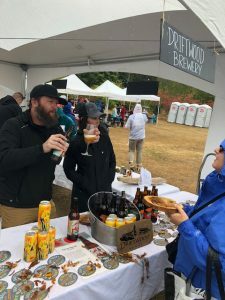 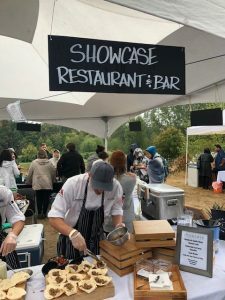 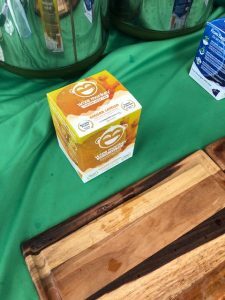 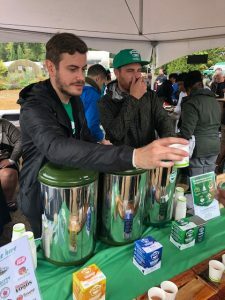 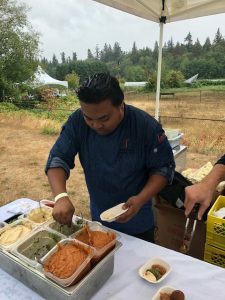 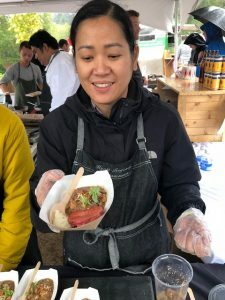 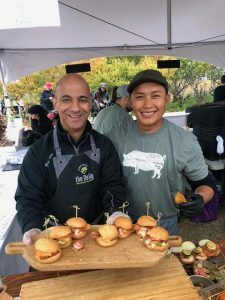 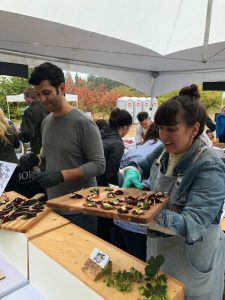 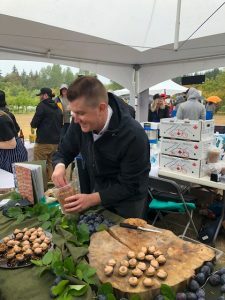 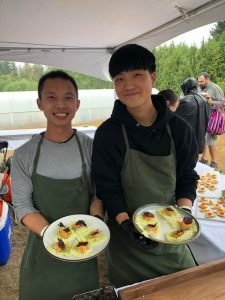 Occasionally it rains and this was the year that it did, happily it didn’t dampen the spirits of the many foodies who attended this annual favourite; FarmFolk CityFolk’s, Metro Vancouver Feast of Fields was my 9th Feast of Fields. 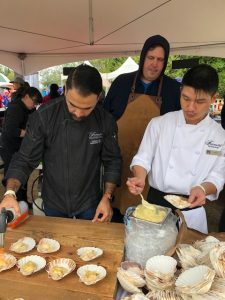 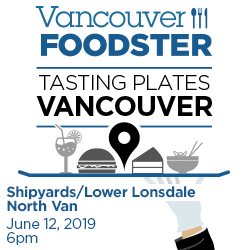 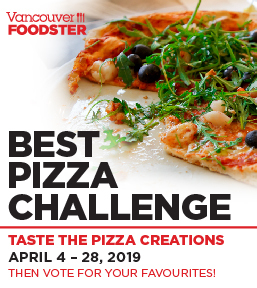 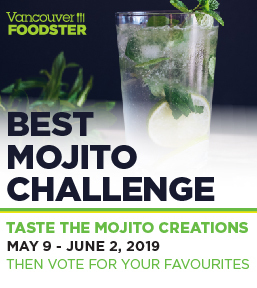 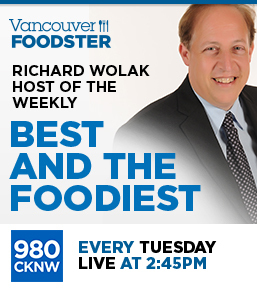 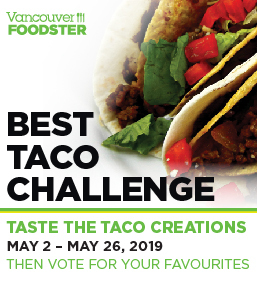 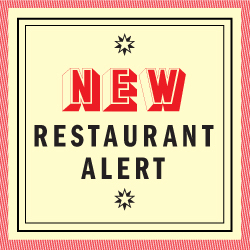 My favourite dish of this year’s festival was the Duck Cassoulet from Hyatt Vancouver’s Mosaic Grill; followed by Chef Karan Siri’s Arc Restaurant’s Seafood Motomaki on the shell; Delta Vancouver and there tasty savoury squash tarts; JamJar’s delicious plant-based Falafel plate. 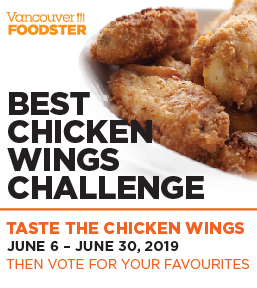 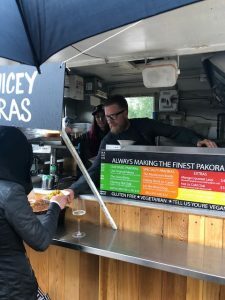 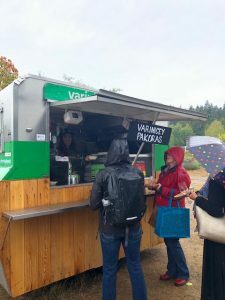 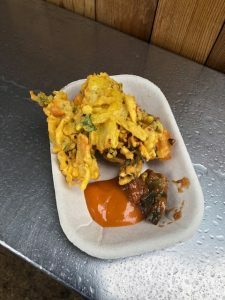 Varinicey Pakoras had the longest lineup and served their tasty Vegetable Pakora and chutney; Showcase Restaurant served Roasted Lamb Tacos; and the Delly UBC featured some sandwiches. 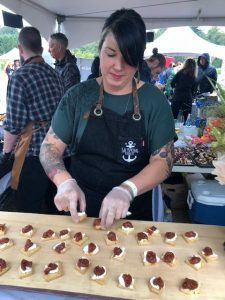 Blue Heron Cheese had a vegan colab going on with some tasty bites; The Wickinish Inn incorporated plums into their dish; Driftwood Brewery poured beer for guests. Chef Brandon Pham served up bites in a collaboration with YVR Prep; Earnest Ice Cream served up a tasty Sour Cherry Goat Cheese Ice Cream; Saltspring Kitchen Co collaborated with Saltspring Island Cheese and served Savoury blue cheese & herb shortbread with fresh chèvre and their Pear & Ginger Chutney; and Wize Monkey served a refreshing Ginger Lemon Tea. 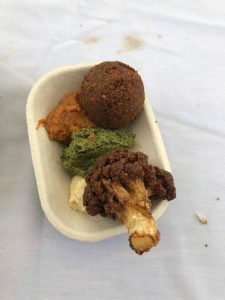 This was my nineth visit to Feast of Fields, see last year’s Feast here. 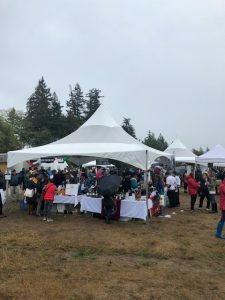 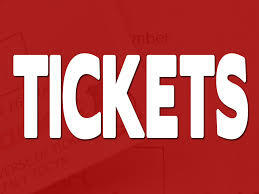 This wonderful annual event is organized byFarm Folk City Folk and is their annual fundraiser. 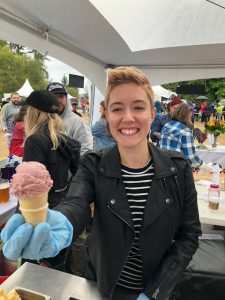 I am already looking forward to attending next year’s event.